Transitioning to middle school can be a scary step for kids with learning challenges who are worried about fitting in academically. But Shadow Project student Annjel is up to the challenge! Two years ago, The Shadow Project made an audio-visual library available at Annjel’s school. The large font size and text highlighting on the screen as the story moved along, plus the vocabulary repetition, helped Annjel improve. 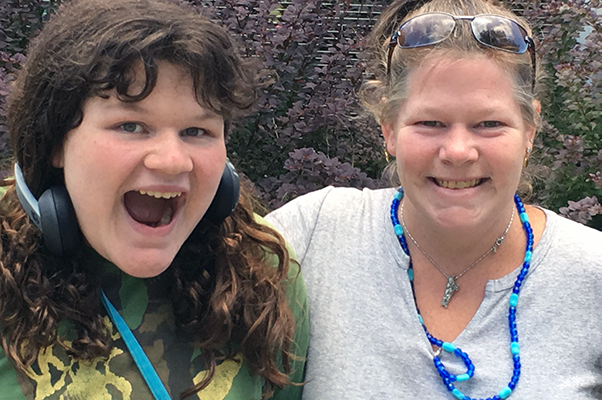 She skipped recess to read with her ears and eyes on the assistive technology, and often stayed up late to read at home, even after her mom, Sally, told her to turn out the light. Says Sally, “I’m really impressed by how far she’s come. Annjel used to get discouraged some times. But she is more confident now about her reading, and she’s gotten to where she needs to be for middle school. A $35,000 grant to The Shadow Project will help children with disabilities like dyslexia and autism thrive, and achieve their potential. The Shadow Project, a 15-year-old nonprofit committed to making school more accessible and engaging for children with learning challenges has received a one-year, $35,000 grant from the Spirit Mountain Community Fund. Shadow Founder and Executive Director Christy Scattarella, M.A., received the grant in a September ceremony in Grand Ronde. The majority of the children in The Shadow Project are from low-income homes and communities of color. The Spirit Mountain grant gives them personalized learning experiences such as reading mentors who use a specialized audio-visual library to make books comes alive, sensory spaces where children can find calm and focus, and a goal-setting program that motivates discouraged learners. The Spirit Mountain Community Fund is the philanthropic arm of The Confederated Tribes of Grande Ronde, distributing $78,610,930 in grants to non-profit organizations in 11 counties, government agencies in Polk and Yamhill counties, and the nine federally recognized tribes in Oregon, to improve the quality of life in Northwest Oregon. 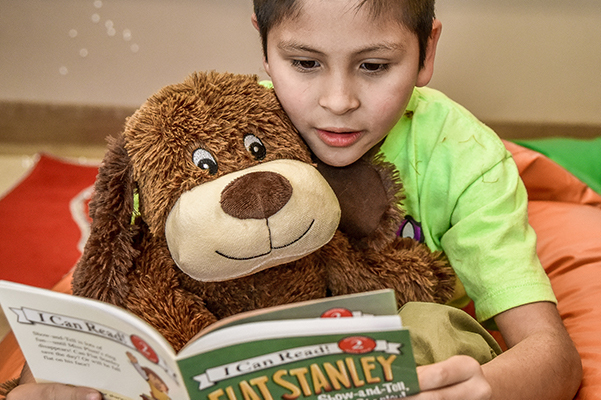 How can teachers and parents motivate their students with learning challenges to read? Join us at our hands-on free family event, as part of Dyslexia Awareness Month, and try out the latest tools that are empowering students to read and focus. Step inside a cozy SuperSensory Space, and try out an audio-visual library that makes books come alive for struggling readers! 11:30 a.m. to 10 p.m.
Purchase raffle tickets to win fabulous prizes from our generous contributors! The Shadow Project is a Portland nonprofit that partners with 38 local schools to make the classroom a place where children who learn differently can thrive. Can’t make the event? You can support our students by purchasing raffle tickets online and be entered to win tickets, food, wine, movie passes, and more! Tickets are $5 for one; $10 for 3; and $20 for 10, and proceeds support kids at our 38 schools.